FIRE officers have issued a warning about initial plans for a new park in Bognor Regis. The town’s civic society consulted West Sussex Fire and Rescue Society over the design for the Pavilion Park. 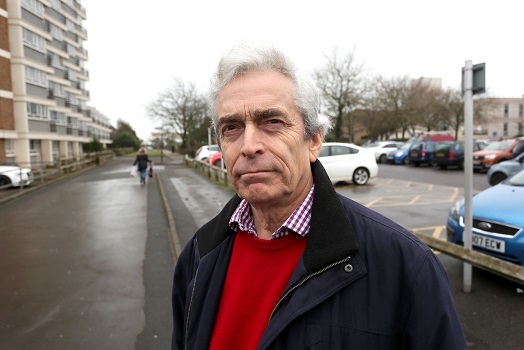 Arun District Council’s current proposals show the existing fire access safety slip road to the west of the 16-storey Fitzleet tower block in Queensway will be replaced by car parking around the new park. The fire and rescue service responded: “The Fitzleet House currently has access to a dry fire main, but to support this there is access to the rear of building for a high level firefighting appliance. “In the new proposed design, this is being replaced by parking provision and therefore will not comply with the building design regulations part B5. Hugh Coster, the society’s deputy chairman, said: “This is code for ‘don’t do it’ delivered by experts. “So, at present, it would seem that Arun’s design is unworkable, unless they are prepared to put lives in danger. “We have asked them for a detailed explanation of how they will deal with this. “Arun have been ignoring our warnings about this ever since the Bognor Regis regeneration sub-committee approved this design in December, 2017. “Town residents are very concerned that sweeping away this safety access could be setting the stage for a repeat, heaven forbid, of the recent Grenfell Tower tragedy where access was also a problem. “Arun have irresponsibly kept quiet about this and we are concerned that the council is not learning lessons on fire safety. The society has written to Arun to ask it to explain how it will deal with the fire and rescue service’s criticism. It has also pointed out that, if the fire access road is kept, the park design will have to exclude car parking in that area. This will cut the number of parking space from the present 219 to 178. An Arun spokesman said the final design of the park would take into account all legally required regulations. “As stated at the recent Bognor Regis regeneration sub-committee, the next stage of the Pavilion Park project is to engage with stakeholders. “LUC (Land Use Consultants) has been appointed by the council to develop the concept plans into a detailed design ready for a planning application. “West Sussex Fire and Rescue Service is one of several stakeholders who are due to be further engaged as the detailed design is worked through.